Came across this incredible print studio situated in Australia……KAROLINA YORK PRINT STUDIOS. Founded by Creative Director BRONWYN FERGUSON; inspiration is drawn from the idyllic Australian lifestyle, specifically utilising hand drawn and painted observational studies which in turn are turned into luxurious and sumptuous prints. One of the most poignant and resonating elements of this design studio has to be highly evident craftsmanship and high end finish, whilst effortlessly fusing a seamless repeat with a magnificent artisanal approach; this fusion creates a recognisable trademark via it’s own unique visual handwriting. I believe their success is down to always being aware of local and global trends, constant visual and market research, an incredibly talented team of designers and an ability to continuously absorb from geographical destinations and their cultures. You can find about what they are inspired by, the creative process, trends, their social media profile, trade shows and even internships/careers. I am bowled over by the professionalism and creativity of their designs……these are some of my favourites………. Hand-drawn into Digital. My aim over the Easter Holidays is to continue my online resource and practical workshop tutorial learning to become a proficient digital designer!!! Watch this space………………..
Strangely enough there actually wasn’t any article that piqued my interest within this issue, but rather I was drawn to a few of the adverts!! Anyone who knows me understands how much I hate adverts on TV and in magazines, social media and billboards, but on this occasion I was drawn to these 3 advertisements. ‘Excess yarn is re-carded and re-spun in India and upcycled into a new material for the one-of-a-kind rugs from the Alchemy collection. The spontaneous bursts of color evoke the artistic sensibility of a painter’s brushstroke, where traditional motifs are transformed into contemporary designs through color and the recycled yarn becomes futuristic creations with an eco-conscious perspective’. I was instantly drawn to the incredible pattern and colour within this rug, which in turn gave me the idea to possibly turn all my linear floral drawings into a fluid spectrum of my chosen colour palette, creating a natural fluidity seen within the above rug. Could I then create a beautiful background of both harmonising and contrasting colours to offset my linear florals? Would I be able to achieve this on Photoshop/Illustrator? Looking at advertisements for inspiration has really opened my ideas to the possibilities of gaining inspiration from the least likely sources. ‘Our new wallpaper collection ‘Tresco’ has been designed by artist Hugo Dalton and curated by our team of colourists. The Tresco collection is a new, beguiling wallpaper collection inspired by the artist’s time spent in Tresco, a private island located in the Isles of Scilly. Encompassing a mixture of traditional and digital printing techniques, the new wallpaper collection features eight unique designs printed in a multitude of colourways taken from the existing Paint & Paper Library colour palette’. Dalton, H. (2018) Buds – Rufus (Advertisement) In: Compton, N. (2018) Tresco: A New Wallpaper Collection in Collaboration with Artist Hugo Dalton, Wallpaper*, 229 (April), p.101. There is something so sumptuously delicious about this simple, yet highly effective floral design….maybe I don’t have to create a fabric/wallpaper that contains all these gimmicks and motifs. Could I create a wallpaper of my own and beat my own path? But would my tutors argue that this looks like a Secondary pattern? The colour blue used within this design is one of my all time favourites….TIMELESS and CLASSIC. The blue is offset, contrasted and harmonised all within the same context by the metallics…..BRONZE and GOLD. Palomba, R & L. (2018) Zen 230 (Advertisement) In: Compton, N. (2018) ‘Screen Time: Elegant Ways to Divide and Conquer’, Wallpaper*, 229, (April), p.274. Unfortunately their website was extremely difficult to navigate around, so trying to find much information about the company was rather impossible. However, I did manage to fathom that the company is pushing the boundaries when looking at the context between indoor/outside design. ‘The fragrance of an outdoor space conceived in harmony with nature, permeated by an atmosphere of well-being. A place in which to immerse oneself, enveloped by the warmth of a design that lives through its relationship with people and their needs, offering them the experience of a different way of discovering the outdoors’. You maybe wondering why I chose this particular design? It gave me the idea to incorporate my florals against the backdrop of a trellis, something that William Morris incorporated a lot within his work. Could these cohesive interlocking trellis ‘bricks’ softly accentuate my linear floral drawings? Could they be the colour needed to make sure I stick to one of the core elements of the brief? We shall see…. Well, considering I have never used Photoshop and Illustrator before, and that I am currently undertaking a Digital project, I decided it was about high time that I learn from the ground up; what better way to learn from others who are able to share their skills and best practice. One thing that struck me about this tutorial was her use of creating a design from a photograph, when she had flowers to inspire her from life. Perhaps her being an illustrator, she likes flat and 2D design work? 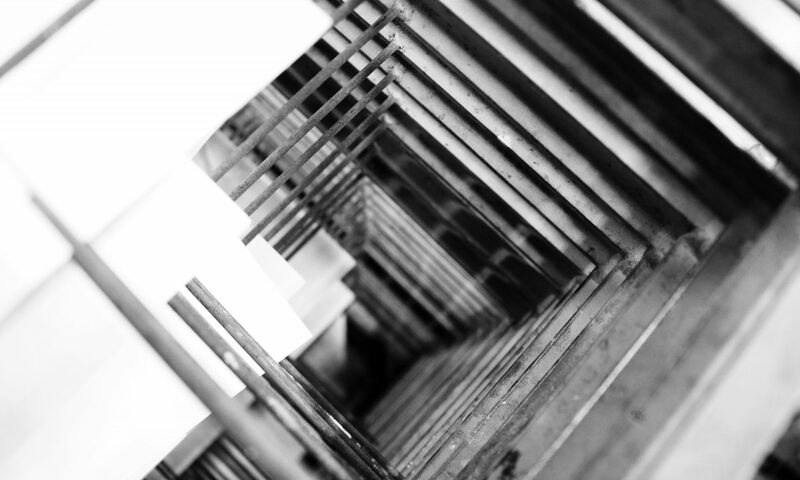 Shape, pattern and line…….vitally important to show a diverse range of structural qualities. Texture………to avoid the design to look flat and characterless. Focal point……the area chosen for the highest vital impact. I DO NOT ADVOCATE DRAWING A FLOWER BY FIRST DRAWING A CIRCLE!!!!! I WILL ALWAYS WORK FROM THE INSIDE OUT, THAT WAY THE FLOWER WILL BECOME ORGANIC, RATHER THAN BEING FORCED TO FIT WITHIN A CIRCLE. NAUGHTY DYLAN. When drawing a flower pay attention to how the petals/structure interacts with one another; concentrate on line first and foremost. I always think a really good way to begin to understand the form and structure of a flower entails studying it by looking and touching it in various perspectives. My Dad always instructed me to explore an object through touch drawing first; it allows me to ‘see’ with my hands. The eye/brain can misrepresent what it sees due to preconceived ideas, take that away and ‘see’ with your touch, and you can begin to understand the core ingredients of the chosen object. A Rose midway through bloom. The structural essence is visible to see; one drawing instrument Pencil) was used to convey form and structure. A Rose decaying; a mixture of dried and still living petals. A range of drawing instruments (pencil, finaliser and charcoal pencil) were used to describe certain characteristics of the flower. A Rose nearly naked of it’s petals; dried and stiff elements of the sepal and stamen are described with expressive mark-making (pencil, pastel, charcoal pencil, biro). The touch drawings are a wonderful way to express what you ‘see’ without actually looking at the object. In the ‘DRAWING YOUR BLOOMS’ section, I notice that Dylan is not observing from a natural form/life and is making up the linear and defining patterns of her chosen flower; this does not really reflect the true nature of what is actually being ‘observed’, but I love the fact that she informs me that what is drawn on a blank page does not necessarily translate exactly when manipulating and transferring the image digitally. Looking at Quick Mask Mode – CTRL+U (DE-SATURATE) Drag Saturation to -100 (OK) Use Lasso tool to ‘frame’. Double Click on Background layer – CTRL+I (INVERSE) Gets rid of everything outside image to keep. CTRL+X To get rid of it. To make sure the black is true black and white is true white press CTRL+L and adjust the bar to make sure there is no grey area. To make New Doc CTRL+N. Use Lasso tool to frame image and press CTRL+C. Make sure white is your foreground. Press Q for Quick Mask and layer should turn red for activation. Press CTRL+V to paste image into new doc, which will shows red due to being still in quick mask mode….so hit Q. Photoshop thought that what was black needed to be removed and save what was white. To remedy this press CTRL+I and choose black as foreground colour. Now press ALT+and then CTRL+D to select. Having always had an affinity with Nature, I didn’t quite realise how therapeutic drawing flowers is; a continuous line to create shape, pattern, form and texture soothe my soul. My Dad always has instilled within me the mantra that ‘there is no right or wrong way to draw, but rather an expression of your own self and individuality’. The last few days have seen me at my most creative and I am struggling to reign in all my ideas, but one of the core ingredients of my success would have to be the ability to deconstruct an idea then reconstruct it in a number of different ways, which is what I have done. I am not proficient on Photoshop or Illustrator, but have the technical know-how to create repeat patterns and juxtaposition by the good old fashioned way….BY HAND!!! This exercise was extremely labour intensive; photocopy each image numerous times, ‘cut out’ with my fingers, arrange by eye, and then spray mount and adhere to the sketchbook page. However, I am really proud of my effort. The flowers I I have drawn are: ROSE, IRIS, & HYDRANGEA. The process of Repeat Patterns is extremely cathartic for me, it feeds my OCD rather nicely, plus it looks great!! I concentrated deliberately on form, line and shape first and made the conscious decision not to overburden studies with colour until I knew that the design was strong enough to take forward. Again, playing around with the size of the image can create a wonderfully cohesive and fluid pattern, not to mention its a wonderful way to make sure that the image works well within the overall space. Experimenting with the stylisation of Roses within a surface pattern context, adding BRUSHO and water, and then strategically placing an acetate replica of the same image over the top, but making sure that the image is slightly off kilter to allow for a 3-D effect. Colours specifically chosen as a nod to WGSN. I photocopied (A3) my Felt samples (from my Felt workshop @ Art Van Go) and began by creating a ‘busy, colourful and textural collage background. I didn’t want to use colour within my observational Iris drawing, so photocopied it numerous times and cut out each image (time consuming!!!! 2hours!!! ), juxtaposing them to create a repeat pattern. I am incredibly pleased with this design and would love to incorporate this somehow into my final coordinating designs. Now, this was a labour of love!! It involved experimenting with BRUSHO and water in an atomiser. The idea was to create a range (around 4 A4 pieces of paper incorporating the mixing of BRUSHO colours) colour palettes, which when dry could be ripped up and torn to create a highly textures and fluid (Busy) background. Some of my quick Rose & Hydrangea sketches were juxtaposed as a repeat pattern, eventually being embellished with Gold (Pilot Fine-liner). The result is fantastic, and I am really honing my own individual visual handwriting. Hand-writing is your own personal style. It’s the bit that sets you are apart. That’s the mark-making you employ, or the medium you use. It can also be affected by the style/ genre you are working within. It is vitally important to have your own Visual Handwriting, what are you without it? What is Identity? The characteristics determining who or what a person or thing is. What is Identity important? Well, it differentiates between me and the next person. Imagine a world in which we all dress the same, look the same, come up the same ideas and create the same designs; not a world in which I want to belong in. But why is it so important to have my own unique visual handwriting? It defines who I am as an artist and is a direct result of how I interpret the world around me. I decided to conduct a little experiment of my own today. If I copied the work, specifically floral designs of other artists, would the work look identical or would my visual handwriting create a new story? Is my identity the marks I make in my art? Is it how I interpret the subject matter through my own two eyes? I thoroughly enjoyed drawing this Tulip/Floral arrangement; it allowed me to expand my mark-making repertoire, which in turn will allow me to become a more experienced and creative artist. Cabinet (Oak, veneered with marquetry of various woods, copper, pewter, tortoiseshell, horn and lapis lazuli), 1680 – Andre-Charles Boulle. I did not want to incorporate the colour from this design, but rather tried to encapsulate the essence of the corolla and large petal size (looking at the WGSN Trend forecast from BUSY BLOOMS). For me, the most important aspect of this exercise was learning which of my own preferred techniques could offer the most dress, unique and new take on a traditional process. For example, I would love to see how COLLAGE could transform this linear drawing into a fully rounded and highly textural design. What medium would I use for the collage? Could I spend a day creating a varied amount of different exploratory mark-making studies? Could these studies serve as the medium I use to deconstruct and then reconstruct this design? Spending time utilising the visual handwriting of others has been invaluable; not only have I a new found respect for the creative processes of others, but I have also improved upon my own way of working. Like Bilbo, I decide to undertake an adventure. An adventure (nightmare) into the City Centre of Cardiff, primarily to visit John Lewis. But then I started to really deconstruct each store, and found that certain stores were targeted at slightly different clientele. I absolutely adore this design!! The colour is rich, yet subdued. Yes, there is no overlaid print pattern, but that could be really easily incorporated in the form of a continuous line drawing/observational study. There is an abundance of a textural and generous pattern. Is it bold enough for the brief outline? HANDPERRY COLLECTION, MAGNOLIA & BLOSSOM, BLOSSOM/LEAF, AVAILABLE IN FABRIC & WALLPAPER, ACCENTUATING PAINT IS CREME DE VIOLETTE. SANDERSON would be a company I would love to explore/research further. As much as I absolutely adore William Morris, I have purposely chosen to include other brands and designs. SWAFFER: Founded in Peterborough in 1973. UK based. Proud to demonstrate that all production, manufacture and print is carried out in the UK. Offering Prints, Weaves, Embroideries and Velvets. These are some of my all time favourite designs that I feel lucky to have come across on my Research journey. It makes me want to continue on with my observational studies, focusing especially at expressive and beautifully fluid florals. This company’s designs are exquisite; who knows how things turn out, maybe a job working for this company would be exactly what I need. GP & BAKER: UK Based, and founded in 1884. Designs from GP & Baker are skillfully adapted to meet with today’s tastes and colour palettes and in addition to developing its own unique handwriting, GP & J Baker continues to grow its reputation as one of the world’s innovators of fabric design. Initially purveyors of Turkish Rugs and Rich Artisan carpets, the company eventually progressed into the manufacture and sale of Textiles. Highly inspired by early 1900s Botanical Art and Horticultural influences. Having previously listed the V&A in London back in September, I was reminded of rich, textural and vibrant hand crafted Indian Textiles primarily documenting CHINTZ design. This particular design by GP & BAKER really does intertwine the ideas and cultural handwriting of the East and West. Although the images above do not show in detail the spectacular machine embroidery embellished onto the surface of the Linen and Viscose mix, I was drawn to this surface pattern, design and colour like a moth to a flame; one of the most joyous and important jobs of a Textile Designer would have to be finding new areas of inspiration, finding new design companies one would love to work/design for, and being able to explore new processes and techniques to further my own creative journey. INCREDIBLE!!!!!! When I saw this design in John Lewis I was blown away by the colour and pattern juxtaposition. The pattern and design has been cropped into square and rectangular areas, of which I found extremely personal and individual to my own style and visual handwriting. The design screams aloud with huge cultural and geographical references to Latin culture, not to mention I can see my previous HOCKNEY, Mulholland Drive surface pattern influence within this design too. BLENDWORTH: UK Based. Established London, 1921. Influenced by traditional English Home and Country. Focus on original distinct colour and design. Commercially aware design company, aware of trends but not focusing on them. Impressionism inspires ideas of enchantment and romanticism. Expressive rich pallets offer a multi-faceted and highly textural approach to the lustrous subject fusion of oriental florals and birds and butterflies. Again, what an absolutely incredible design incorporating both Stitch and Print. I think I will source a workshop looking at advanced Machine Embroidery and will endeavour to practice and explore to make it become second nature. TULIP STELLATA COLLECTION, TULIP STELLATA, COLOUR FUSCHIA, AVAILABLE IN FABRIC & WALLPAPER. I purposely choose this design due to the strong influence from the Dutch Golden Age of painting. Vivid, masterful and rich floral observational studies are interpreted through digital and rotary design. Base cloth selection available in numerous fabrics entirely suitable for soft furnishings and upholstery. WOW!! I never considered myself a floral type of person, but have been fully converted by personal and private market research. It makes me want to continually better myself, so I think an intensive drawing and painting class will be sourced. To introduce you to digital design processes via a practical design brief. To introduce you to creating a collection of designs that are applied to various product mock-upsWhy is this important? Your client is a mid to high-end very commercial large department store. They would like you to create a coordinating collection of 6 patterns to be digitally printed (created using your preferred medium) for the female 25-40 age range for Spring/Summer ‘19. These patterns are going to be used for their in-house collections across various product ranges. I have chosen INTERIORS (Fabric & Wallpaper) as my Product Category. The upcoming SPRING/SUMMER Trend: BUSY BLOOMS – Flowers in full bloom are celebrated for their colour, form, and texture – with bold all-over designs and a craft inspired focus. Mixed textures with overlaid prints add to the rich feel. Large petals are a key focus. Nature is a key inspiration to this colour palette – subdued yet rich colour palette, creating a sense of warmth. 2. IRIS – Irises are wonderful garden plants. The word Iris means rainbow. Irises come in many colors such as blue and purple, white and yellow, pink and orange, brown and red, and even black. Since Iris is the Greek goddess for the Messenger of Love, her sacred flower is considered the symbol of communication and messages. Therefore the flower iris in the language of flowers symbolizes eloquence. Based on their color, irises convey varied messages. A purple iris is symbolic of wisdom and compliments. A blue iris symbolizes faith and hope. A yellow iris symbolizes passion while white iris symbolizes purity. A gift of iris can be used to convey many emotions. 3. ORIENTAL POPPY – Poppies have long been used as a symbol of sleep, peace, and death: Sleep because the opium extracted from them is a sedative, and death because of the common blood-red color of the red poppy in particular. In Greek and Roman myths, poppies were used as offerings to the dead. Poppies used as emblems on tombstones symbolize eternal sleep. This symbolism was evoked in the children’s novel The Wonderful Wizard of Oz, in which a magical poppy field threatened to make the protagonists sleep forever.A second interpretation of poppies in Classical mythology is that the bright scarlet color signifies a promise of resurrection after death. FORM = The visible shape or configuration of something/style, design, and arrangement in an artistic work as distinct from its content. TEXTURE = The feel, appearance, or consistency of a surface or a substance/the tactile quality of the surface of a work of art. RICH = Existing in plentiful quantities; abundant/(of a colour, sound, smell, etc.) pleasantly deep or strong/full of variety. My way of working entails deconstructing a brief, research, exploration, experimentation and reconstruction. JOIN ME ON MY JOURNEY.